I love this time of year. Crisp weather, the smell of leaves and fires burning (don’t get that in the city as much as at home), delicious hot drinks and candy on candy on candy. I bought two jumbo bags of Halloween candy for a little get together we had last weekend. I’ve eaten most of it on my own. You can tell a LOT about a person depending on the types of Halloween candy they buy. I saw a woman at Target buying a giant bag of Smarties yesterday and I think I actually shook my head. No offense if you bought/love Smarties. But I don’t get it. I want the real deal candy. I’m talking the stars of Halloween…the pumpkin Reese’s Peanut Butter Pumpkins. Can I get an amen. Alllllll that peanut butter stuffed inside some gooey milk chocolate…my dreams are made up of peanut butter pumpkins. I’m also all about the Twix/Butterfinger/KitKat. And of course all the fruity stuff: Skittles, Starburst, Sour Patch Kids. YUM. My jars of Halloween candy are staring at me right now and it is taking all the willpower I have to not throw my computer/cat from my lap and sit on the floor eating candy until I’m sick (not like I’ve ever actually done that…). They had trick-or-treating in the West Loop (my hood) last week and Mikey and I stared out the window like creeps watching all the little princesses and monsters walk by. There were also those 5 star parents who dressed up too and I just wanted to run down and hand them a beer and give them a hug. They were giving zero F’s and I loved it. Your kid thinks you are SO cool and you should enjoy it while it lasts because pretty soon they will hate you if you show up anywhere in any type of costume. Except the dad that was in the full on giraffe costume. Never stop wearing that thing and being that guy, you’re amazing. 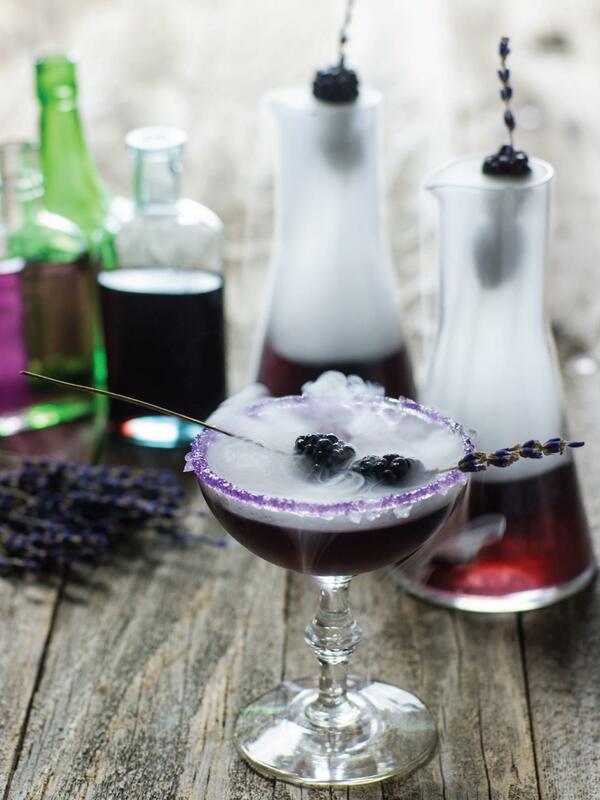 Since I am in full on fall/Holiday spirits I found some stunning pictures that I am loving on lately! Enjoy your weekend and make sure you eat at least ONE piece of candy (but preferably 34) because it is the one time of year that you can do it without any guilt! Mikey and I have a tradition that he gets to pick 1 scary movie a year for us to watch around Halloween. I hate scary movies (he loves them) more than anything and tonight is the night. I’m going to have nightmares for weeks. 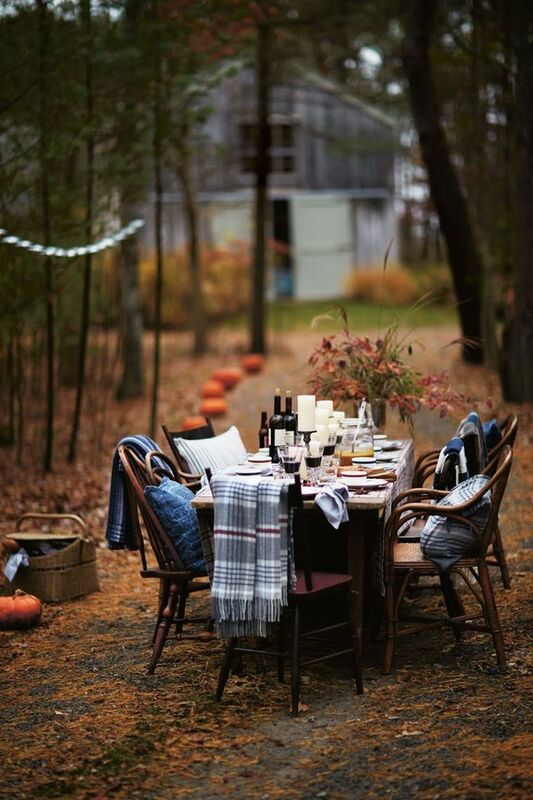 Lets talk about things that don’t scare me…like this stunning outdoor tablescape in the woods. This makes me miss living in the country sooooo bad it hurts. I live for these types of meals. How beautiful and creative! Someday I’m hosting a party like this! Aren’t these cute! They are so pretty and festive and actually look like a caramel apple I would like to eat! 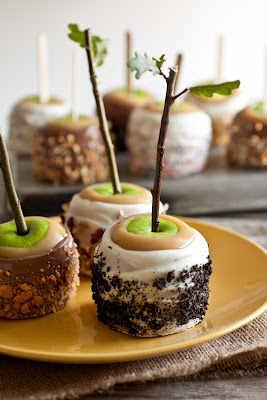 The sticks are my favorite part and really take it from a basic candy apple to a beautiful (and tasty) decoration. I think I’ve posted this picture before but I don’t even care. 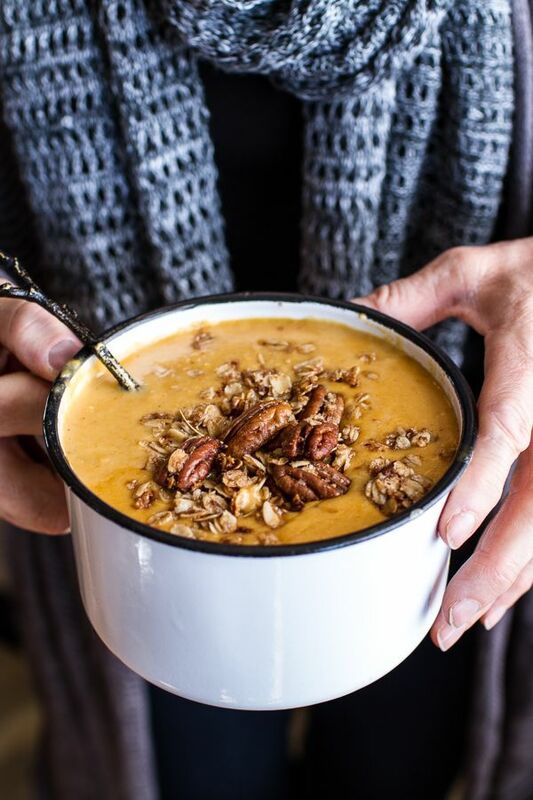 It’s so autumnal and speaks to my inner Wisconsinite because it has cheddar cheese, brie cheese and beer in it (as well as other delicious ingredients). Half Baked Harvest is my blog-crush fo sho. Last but not least (and somewhat similar to the dinner party in the woods) is this fall picnic in the woods. Can you sense the trend. I love to eat fall things in the woods. I’ll stop talking about it. Check out this gorgeous blog link to see more about how you can pack up a pretty basket of goodness and get out into the wild to enjoy the season. This makes me want to get outside ASAP! 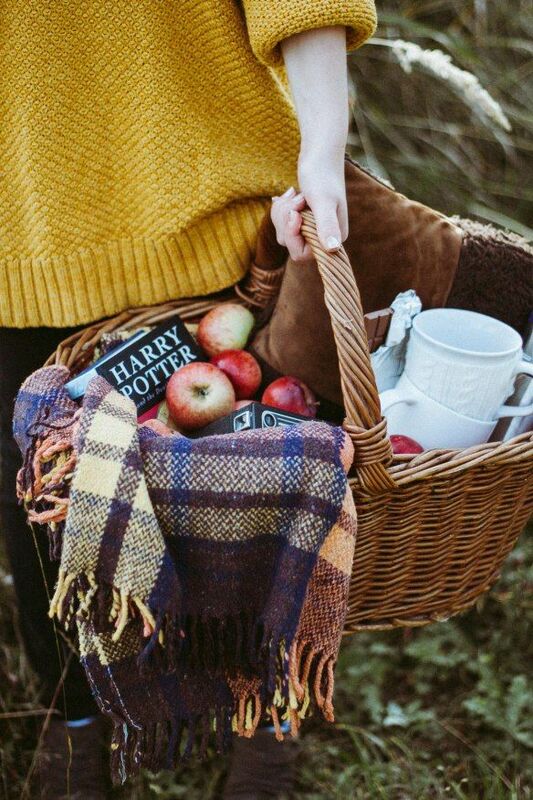 I love picnics and that basket is just perfect… especially with that Harry Potter book snuggled in there!